It is estimated that over 96 million cats are owned in the US alone. Cats do make the best pets. They're charming little critters that will steal your heart in no time. Welcome to the Love Your Cat Event featuring top rated products that will make your life easier and cause your cat to meow with delight. 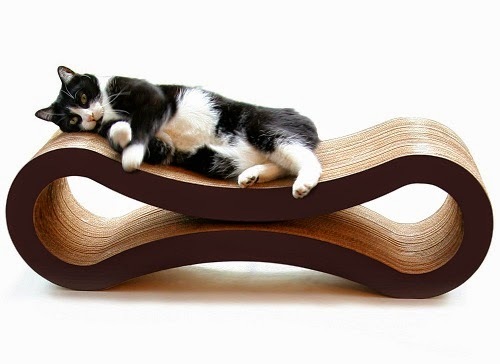 The rugged Cat Scratcher Lounge by Pet Fusion makes for a striking addition to your home by adding a little modern flare. Most importantly your cat will take to it in no time, making it easy to redirect sharp claws away from valuable furniture. Far superior than other similar items and also far more affordable. My cat loves this! A must-have for kitty. 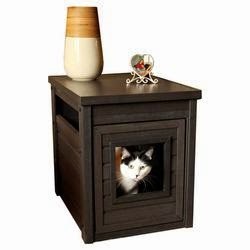 This exquisite piece of furniture keeps litter boxes hidden and offers kitty plenty of space and privacy. The Litter Loo by New Age Pet, is Made of a moisture resistant, eco-friendly material that renders this easy care and highly practical. Who doesn't like adding a little greenery to a room. Thanks to the Hidden Litter Box by Good Pet Stuff we can now dress up a bland corner in a room while providing kitty with a nice roomy interior. I own and I love that it's extremely easy to clean and due to its generous size I'm not dealing with a carpet full of cat litter from my aggressive cat's urge to spew litter. 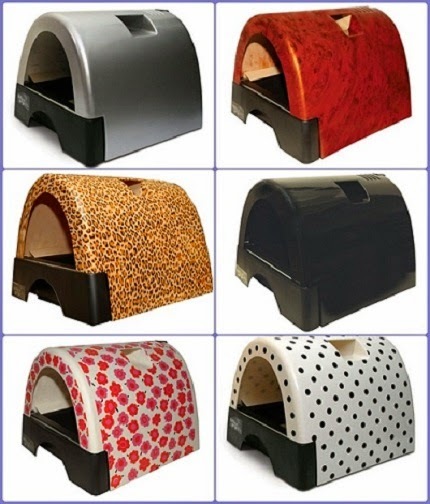 Kitty A Go Go may of very well be the first stylish litter box. The various styles add a little something to any decor. Spacious enough for kitty, yet small enough to tuck away. Think underneath a pedestal sink, under a desk or just keep it out in the open so that it can be admired by all. I couldn't very well feature top litter boxes without offering the perfect cat litter to compliment those boxes now could I? Simple Solution offers a litter that absorbs urine and removes odors for up to thirty days. Well it's been over thirty days and I'm still enjoying the ease of not having to change the litter as often. I also love that it light weight. The meticulously engineered Feed Safe is the perfect solution to keeping cat's food safe from predators, such as the family dog. 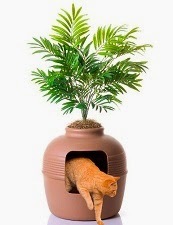 Also a great way to keep cat's eating area clean. 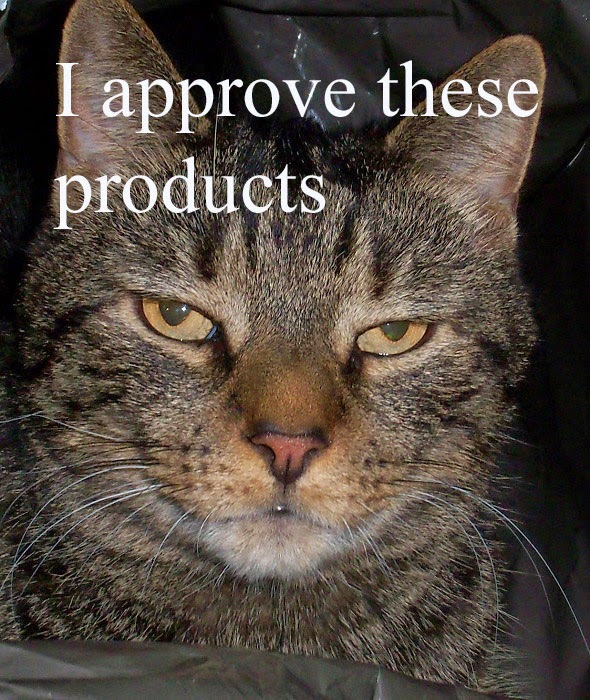 All great products that will be appreciated by you and your cat for years to come. Who wants to win these great products? Grande prize (Continental US only): Good Stuff Hidden Litter Box, Litter Loo by New Age Pet, choice of Kitty A Go Go or Feed Safe, Pet Fusion Cat Lounger and a box of Simple Solution Cat Litter. Nine additional winner will receive a 15 lb box of Simple Solution Cat Litter. 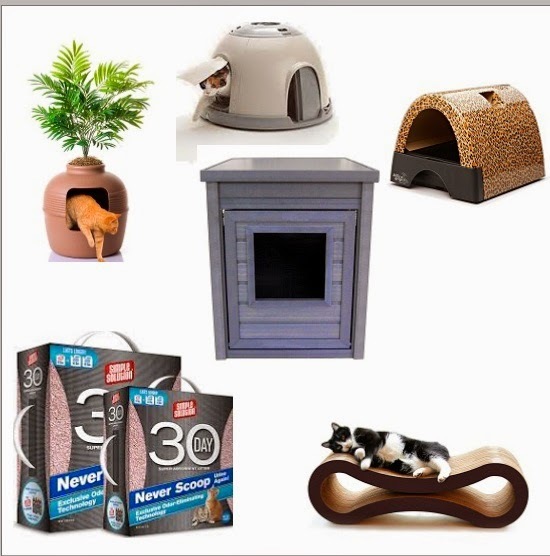 If the Grand prize winner is from Canada they will receive the Pet Fusion Cat Lounger and a box of Simple Solution Cat litter, a second US winner will be drawn to receive all the all three litter boxes. 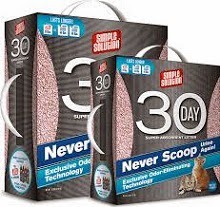 ..and of course nine additional winners(US/CAN) will receive a 15 lb box of Simple Solutions Cat litter. Use the easy entry form to enter this giveaway. For your tweets to count they must be open to the public and not protected. Only one mandatory entry, the extras are there for those savvy folks that want to increase their odds. My cat Oskar would love all these awesome products and he deserves to be spoiled! I LOVE all of the items in your giveaway! They are awesome and they are perfect for my perfect cat Shadow! I love him more than anyone can know and his birthday is coming up and this is perfect! I love that cat scratcher lounge,My cat would definitely make good use of it,I didn't know there was anything like it,I need it,my furniture is taking a beating from my cat! but I love her so much. We have been trying to figure out a way to camouflage our litter box and you all just fixed this problem! Yay! I love the scratching post and kitty litter box camouflage. My cat would love all of the prizes. I like the scratching post and boy do we need it, I never declawed our two kitties which I now regret. Surprised our couch hasn't fallen apart yet lol. she is a shy cat and she'd love the scratching post. I really like the litterboxes that are hidden. I have 4 cat's and thay would love to have these things.Angel , Tiger , Batty , and Baby. We have two cats, sisters who came together from a rescue shelter. They're sweet girls, and I think they'd love the lounger. I, on the other hand, would love the designer box. I like how useful the items being featured look!